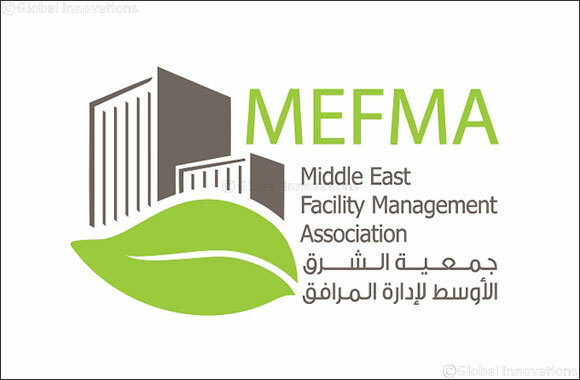 The facilities management (FM) sector in the Kingdom of Saudi Arabia (KSA) remains a largely untapped market, an ‘emerging giant’ that offers huge growth opportunities for regional FM players looking to expand and innovate on their services in the Kingdom, highlighted experts from the Middle East Facilities Management Association (MEFMA) which held a workshop and networking event recently in Riyadh, which was sponsored by Advanced Facilities Management. The MEFMA Report “FM in Saudi Arabia – an Emerging Giant” has revealed that the Kingdom continues to hold the largest share in Gulf FM spending, accounting for about 55 per cent of total expenditure. Although the KSA market is currently valued at USD 20 billion, it is still considered to be developing in terms of proportion to the country’s building infrastructure development, and is characterized as dependent on manpower supply services and low-quality building maintenance. MEFMA has estimated that under one-third of the FM demand predominantly comes from the public sector which is relying heavily on outsourced services. The workshop, led by Ali Al Suwaidi, MEFMA Board of Director, discussed various FM concerns under the theme ‘Handover in Mega-Projects’ and the areas for growth within these projects. For instance, Saudi Arabia’s housing market is poised for growth as more projects come online following the government’s strategic move to boost the sector, eyeing 52 per cent of Saudi citizens to become home owners by 2020 in line with the Saudi Vision 2030 plan. These projects would require FM services in order to maintain the sustainability of the facilities. On the sidelines of the workshop, MEFMA also held a forum and networking event themed ‘Total Cost of Ownership in FM in Saudi Arabia’, with guest speakers Dr. Talal A. AlHarigi from the National Training Center for Facilities and Hospitality Management (FHM), Abdulaziz Al Omair from Tatweer Buildings Company, Musad Aldaood from Tamam, and Saleh Al Rajhi from Advanced Facilities Management. The event was moderated by MEFMA Board Director Aiyd Al-Qahtani. MEFMA underscored that GCC-based FM clients in recent years have begun embracing international trends which favour longer contracts with their FM providers extending from three to five years, as well as the demand to include more defined output-based targets within their contracts. These trends are more visible in established markets such as Dubai and are increasingly being adopted in Abu Dhabi and Doha. The association attributed such changes to technological developments as the key enabler, particularly its impact on productivity, service quality and transparency – key factors that put weight on the significant contribution of the FM sector to the regional economy.